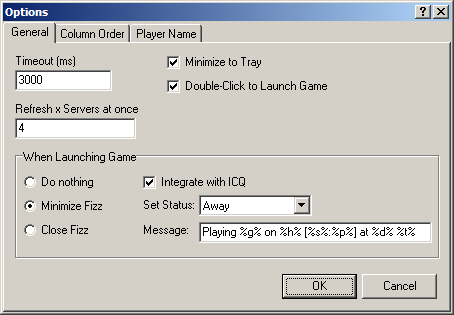 Fizz is a game server browser for Windows 9x/ME/2K/XP. The file icqmapi.dll is required (25KB) and Windows 95 users will need the WinSock2 update. Run fizz.exe -nosplash to disable to splash screen. Both 1.x and 2.x have the same features except in 2.x the querying of game servers has been moved to plugins (DLL files). 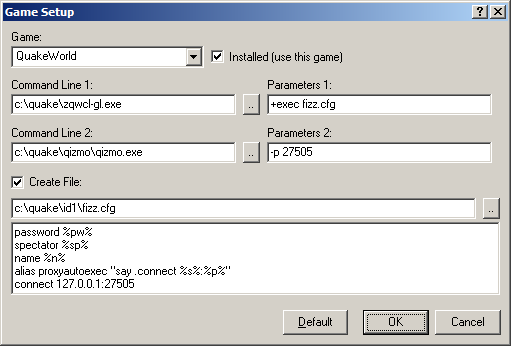 Fizz was my first major GUI program and it was created because there was a lack of decent game server browsers at the time. 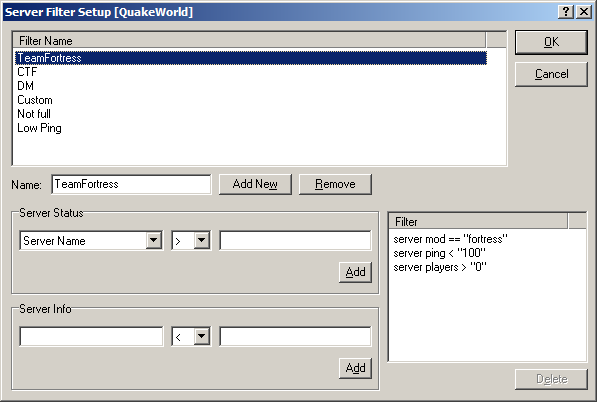 There were very simple requirements, a static server list (usually populated by copying addresses off websites) which could be refreshed, a list of players and joining a game also had to support external programs such as proxies. And naturally, be small, fast and not crash. Back then even Delphi programs were acceptable small, a splash screen to slow down startup was fine and if you're lucky it won't internally combust. Ah well. Fizz is a synonym of effervesce, a word which was mentioned somewhere along the line in Science.